You searched for months for the perfect slate grey paint for your living room and finally found it. 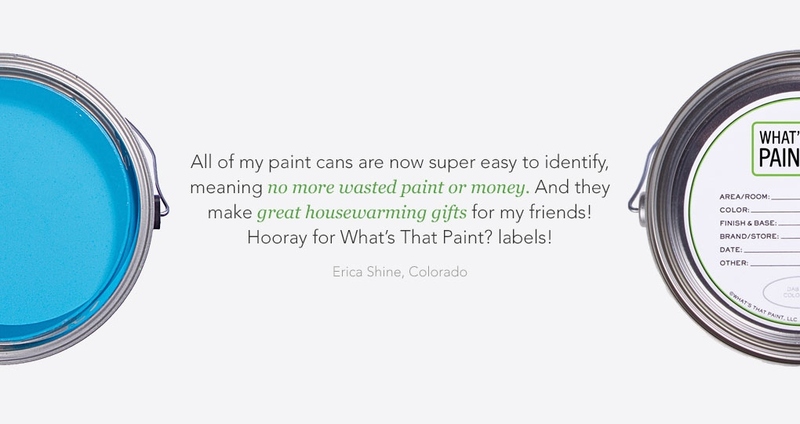 Now you need to do some touching up after your budding Picasso took crayon to your walls, but you can’t find the right paint can in the disorganized stack of cans in your garage. It’s impossible to figure out which paint goes in which room. So many finishes, so many cans -- why are there five different shades of grey here? What’s That Paint? labels came out of our own frustrating experience. We were touching up our house and ended up with the wrong paint on all of the wrong walls. 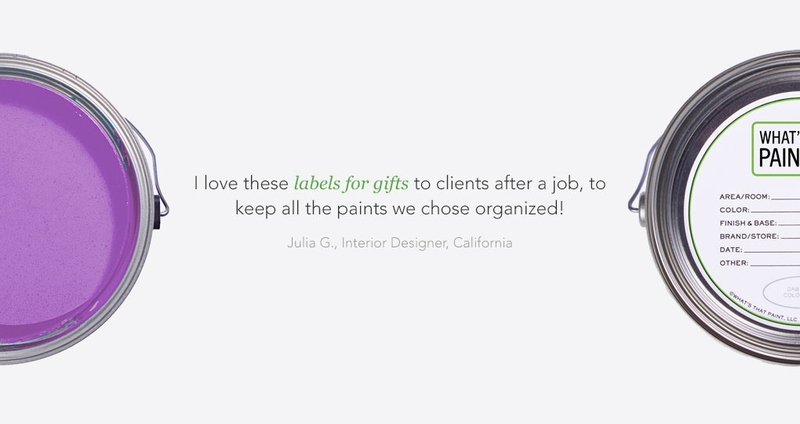 Our light bulb moment: we needed a label to organize our paint cans. 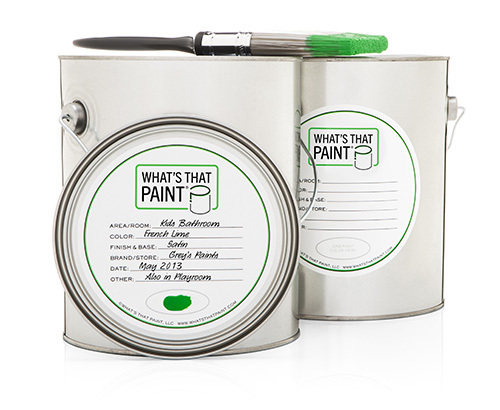 Now, with our fill-in-the blank paint can labels, it is easy to know exactly which paints go where. And people love them. Deanna is an attorney and mom who appreciates the need to be efficient and organized. 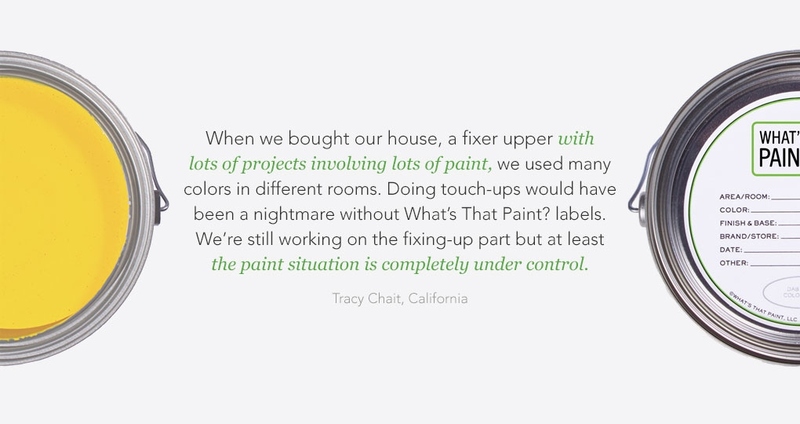 But keeping a garage full of paint cans under control?! 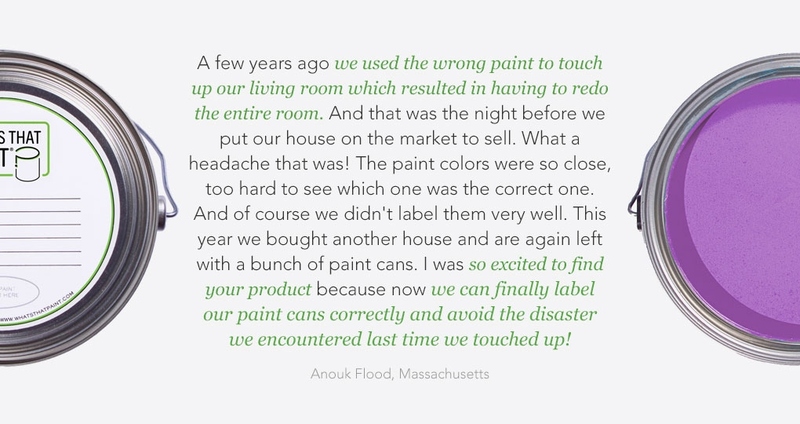 That wasn’t a priority until a simple touch-up job became a painting nightmare, and “What’s That Paint?” paint can labels were born. Deanna is currently developing additional organization products to simplify busy lives. A Colorado native, she now lives in Summerlin, Nevada with her family. Your must-have paint accessory and the perfect gift for anyone who is moving in to a new home or office! Free shipping when you purchase 6 packs or more. $2.35 Flat Rate shipping on orders of 5 packs or less. 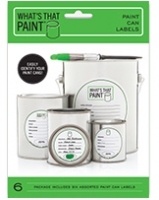 Package includes five 5" round paint can labels with easy to use self-adhesive backing. Made in the USA. 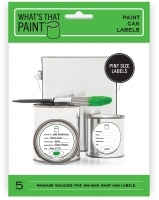 Package includes 6 assorted paint can labels with easy to use self-adhesive backing (two 5” gallon paint can labels, two 3” quart paint can labels and two 2 3/8” pint & half pint paint can labels). Made in the USA. 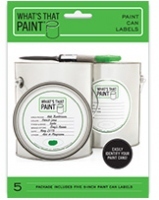 Package includes five 2 3/8" round paint can labels with easy to use self-adhesive backing. Made in the USA. 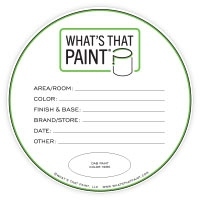 Package includes 250, 5" round fill-in-the-blank labels with easy to use self-adhesive backing. Made in the USA. 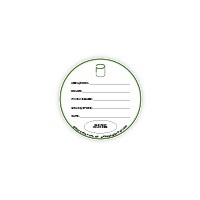 Package includes 250, 3" round fill-in-the-blank labels with easy to use self-adhesive backing. Made in the USA. 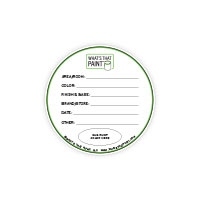 Package includes 250, 2 3/8" round fill-in-the-blank labels with easy to use self-adhesive backing. Made in the USA. Have a question? Press inquiry? Want to chat about the perfect not-too-white white? Contact us! And thanks for getting in touch! What’s That Paint LLC does not sell or distribute your information to anyone. Your information is solely used for processing and shipping orders. Credit card payments are processed through PayPal’s secure gateway. 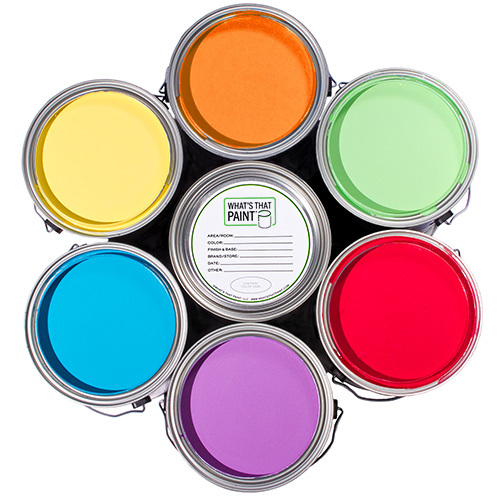 Interested in selling What’s That Paint products in your store? Contact us.